As stated above, the movie was set to be released in April for residents of England, but a certain group of people had to wait a little bit longer to see it after something rather amazing happened. The official reasoning for cancelling the movie? The movie theater had to close down and be evacuated due to a flood. Yup. You read that right. The movie, Noah, had to be postponed because of a flood in a movie theatre. I mean, really, what are the odds of that? In the end, the theater was able to reopen and show the initial screening of Noah on the same date as promised, it just happened to be a little bit later in the day than most people were expecting. The lesson to be learned from all this? I guess when you choose to make a movie about a man who’s famous for building an ark to survive a flood and save all the animals, you might want to expect some flooding that could potentially ruin your showings. At the young age of nineteen, Reggie Shaw killed two men in Utah when he was texting while driving. 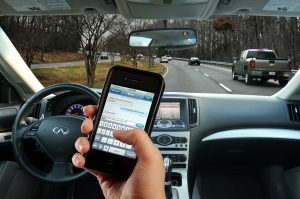 He stated that he would text all of the time while he drove, in fact almost every time he got behind the wheel. He, as many other people, thought that it was okay to do so and that it would hurt no one. He found out differently that day, for sure! Shaw had to go to jail for thirty days and then had community service to do after that. So, what is the irony in this story? Well, after being punished for texting while driving, Shaw spoke to the lawmakers in Utah to push for them to pass a much tougher law against texting and driving, which has become one of the toughest laws in the country! Shaw explained that he realized that texting while driving was a very serious problem, a very dangerous thing to do while behind the wheel of a vehicle. His hope was that the law would help prevent other families from losing their loved ones. His goal if for other people not to have to go through what he put the families of the men he killed through. With the law now in place in Utah, anyone caught texting while driving will face up to fifteen years in prison. The thought is that those who cause fatalities from texting while driving should be punished as severely as someone who is driving under the influence of alcohol. In other words, it will no longer be seen as an accident, like in a case where a driver nods off at the wheel, but will be seen as the driver being reckless instead. Personally, I am glad to see the law changed. Of course, I prefer traveling using partybuslimotampabay.com anyways, so I can text while riding and not worry about causing an accident. 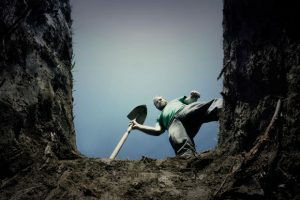 A man from Sri Lanka was buried alive recently in an attempt to try and set the record for the longest amount of time spent buried alive. He died in his attempt. Ironic, right? Janaka Basnayake, a 24 year old Sri Lankan man, had family and friends help to bury him in a trench that was sealed over with wood and dirt in Sri Lanka’s capital, Colombo. Local papers recorded that the trench was close to ten feet deep. Around 9:30 that morning, Basnayake was buried. At close to four that evening, he was brought back up to the surface. He was not conscious, so he was taken to the hospital. He was pronounced dead upon arrival. The doctors at the hospital did a post mortem autopsy and could not determine at the time what the cause of death was. They had plans for further investigations on what exactly killed him. The victim’s mother stated that her son had always enjoyed doing things that were seen as unusual ever since his childhood. He had watched many movies that encouraged that behavior. It seems that Basnayake had been buried alive two times before for less amounts of time. The first time was for two and a half hours. The second time was for six hours. It is currently unknown what the world record is officially for the longest time someone has been buried alive. Could you imagine dying in such a tragic way? Trying to win the world record in something that actually ends up killing you? Did they not have some sort of way to tell if he wasn’t breathing under the ground? I know I sure would if I were going for that kind of record! At lease he died doing something that he loved, though, right? This story is very ironic! Niagara Falls is well known for the beauty it provides and for the massive amounts of water that go over it each year. Not many people would ever brave going over the falls, especially not in a barrel! Want to hear something ironic? Bobby Leach, from Cornwall, in the United Kingdom, did just that though. He was actually the second person to ever go over the falls in a barrel, but the first man to do so. The first person to attempt it was Annie Taylor in July 1911. After Leach went over the falls in the barrel, he had to spend around six months in the hospital in order to recover from the injuries he got while going over the falls. The injuries included a fractured jaw and two broken knee caps. Before Bobby Leach took on Niagara Falls, he was a performer with the Barnum and Bailey Circus, so he was used to being around and participating in numerous stunts. Just before he took on the falls, he was the owner of a restaurant not too far away on Bridge Street where he was often heard boasting that if Annie could do something, that he could do it better. In 1920, Leach went back to New York to Niagara Falls and operated a pool hall. In 1926, Leach went to New Zealand on a publicity tour and hurt himself when he slipped on an orange peel. Soon after, his leg became infected. It eventually became gangrene and his leg had to be amputated. Two months later, Bobby Leach died from complications from the procedure. Point of the story? It is often the small things that take you down. 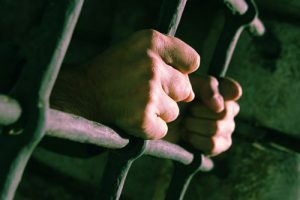 A local jail in Fulton County, Georgia, is running a contest for inmates that encourages them to pick the locks on their jail cells. If an inmate is able to break free by picking the lock to their cell, they will be given food and hygiene items for free from the commissary, items that are used as a form of currency inside the prison. The point of the contest is to try out new locks that were installed at the prison to see if they will keep the inmates in. They plan to put the worst offenders in the cells and let them go to it to see if they can get out. The Fulton County jail has had problems with their locks on a regular basis ever since the building was opened over twenty three years ago. The inmates have easily been able to pop open the internal door locks and to get to the common areas or reach other prisoners inside their cells. This put both inmates and staff in danger. The general public was never in danger, though, since there are many other obstacles in the prisoner’s way to get out of the jail itself. 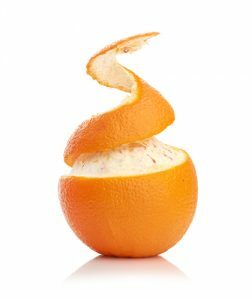 Though the contest is quite unconventional, it seems to be a good one. Why not use inmates to try to pick the locks the same way the FBI and local bankers use bank robbers to help make the banks better? It’s the same idea. Several years ago, the company that was responsible for making locks for the prison went out of business. The parts needed for the locks are no longer available because of that. The Sheriff has asked for around six million dollars to replace the locks that are not working well, and is waiting for a decision on that to be made by the Fulton County Commission. While they wait, though, some new locks that were designed specifically for the Fulton jail have been put in one zone on nine doors and will be tested by the inmates. There have been quite a few companies that have put in bids to replace the locks on the jail cells, but a company out of Alabama has the bid right now. Their locks are the ones the inmates will be testing. Hopefully, the test will allow the jail to determine what needs to be changed to help keep everyone safe. Have you heard about the two customers that were banned from an all you can eat buffet in England because they ate too much? Quite ironic, right? Well, 25 year old Andy Miles and 26 year old George Dalmon were both given the boot from a restaurant called Gobi, a Mongolian Barbecue place in Brighton, after, according to the British press, the manager called the two a couple of pigs. 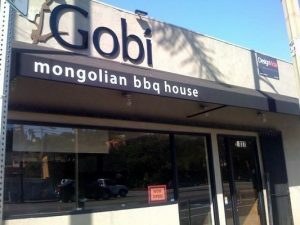 The two customers were regulars at Gobi. Each time they went, they were said to have scarfed down about five bowls of stir fry each. The manager stated that all they do is come in and pig out each time. The Gobi management put up with the two men for a little over two years, but finally came to the breaking point. The manager also noted that, in that two year time period, the duo had never tipped or purchased any items other than the buffet and water. He defended his actions in banning the two men by saying that the business is not a charity, but is there to make money. The manager further stated that, since it is his restaurant, he can tell anyone he wants to not to come back again. Even now, the Gobi website is still advertising the deal they have with the buffet. They pull customers in with their promise of having the best meats, seafood, and fresh vegetables, all stir fried for the customer, as many times as they may want. The cost of the buffet at Gobi’s is around twelve pounds, which comes to about twenty dollars each. The two men, Dalmon and Miles, have defended their actions at Gobi and believe that they should not be able to keep them away. They assure readers that they only have small bowls at the restaurant, so going back for more is only expected.